Robin was born and raised in Vasa Finland. As a young child he always had a passion for metal music & art. He first started off in the piercing trade but after a few years he knew he wanted to do more, he wanted to become a tattoo artist. So to gain his knowledge and educational training he left his home, family & friends to pursue his dream. In 2009 he attended a tattoo school in Canada. During this time he completed the training top of his class and was offered a position as a fulltime tattoo artist along side responsibilities of shop manager and piercer. After fulfilling 4 years of work, Robin decided it was time to move back home and open his own studio. On Sept 13, 2013 Fist of Needles Tattoo & Piercing was born. Robin is now an award winning and world travelling tattoo artist with a love for Dark Surrealism and Bio Organica fueled by Blackened Metal and Twisted Visions! He is always looking for clients that want evil sh*t! Tattoos done by Robin are charged at an hourly rate of 130€ per hour. You can see Robin’s tattoo portfolio here. Service in swedish & english. Jamie Kodial is from Toronto Canada. She moved to Finland with her husband Robin in June 2013 to help with his dream of opening a tattoo studio. Jamie is the studio’s General Manager & main Piercer. She is also the Laser Technician offering both laser tattoo removal and laser hair removal services. Furthermore, she brings her cosmetics knowledge, beauty salon work experience and artistic skills to Fist of Needles by offering customers all types of hair extensions, eyelash extensions & nail art! You can see Jamie’s piercing portfolio here. Service in english & italian. Emily is the newest addition to our team since April 2018. She is our full time Monday to Friday trilingual studio manager offering customer service in Finnish, Swedish & English. 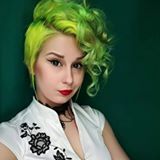 She is the friendly face you will see at the front reception handling all aspects of our studios day to day operations from responding to emails, text and phone calls, booking customers appointments for tattoos & piercings to handling all the jewelry, clothing and art sales. She is currently training to be a piercer so if you are interesting in getting a piercing from her during her training (at a very discounted price) please email us to book a time! Alexandra joined our team back in July 2014. Some of you may remember her as our previous front desk manager. Now that we have Emily it makes Alexandra more available to do what she does best… piercings! 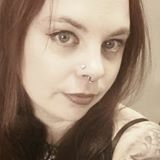 She is our full time Monday to Thursday piercer and assistant studio manager helping out with all aspects of our studio. She speaks all 3 languages (Finnish, Swedish & English) and is there to handle all walk in piercings and jewelry changes. If Alexandra is too busy for a walk in piercing then you will be booked for an appointment on a day Jamie is working as Jamie is the main piercer of the studio. Erika started working with us in July 2016. She is our part time assistant studio manager & piercer offering customer service Finnish, Swedish & English. If Erika is too busy to do a walk in piercing then you will be booked for an appointment on a day Jamie is working as Jamie is the main piercer of the studio. Susanne has been with us since we opened our doors on September 13, 2013. She is a well known and established portrait artist who has now expanded her artistic skills to tattooing. She does all types of tattoos, her specialty being water colors, realism & portraits. Tattoos done by Susanne are charged at an hourly rate of 120€ per hour. You can see Susanne’s tattoo portfolio here. Service in Finnish, Swedish & English. Katarina has been with us since November 2015. After completing her 1 year apprenticeship with us she was taken on as a full time tattoo artist. Katarina has unique artistic abilities and has been doing art since she was a young child. She enjoys drawing portraits and realism, but she also has a special liking to mandalas, dotwork and linework art. Tattoos done by Katarina are charged at an hourly rate of 100€ per hour. Starting January 2019 her hourly rate will be 110€ per hour. You can see Katarina’s tattoo portfolio here. 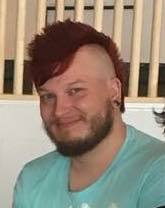 Benjamin began with us in March 2017 and is our full time Monday to Friday tattoo artist. He has been drawing for many years plus he had done some tattooing in the past. Now we are lucky to have him at our studio offering his specialty of traditional, black work & ornamental designs, but he is also flexible and can do a variety of other different styles aswell. Benjamin is currently at an hourly rate of 90€ per hour! Starting January 2019 his hourly rate will be 100€ per hour. You can see Benjamin’s tattoo portfolio here. Service in Swedish, English & Finnish. Jonas was selected as our new apprentice and started with us in August 2018. You will see him helping out with all aspects of our studio but his main passion is drawing crazy, abstract, intricate, psychedelic designs and horror related art. After he completes his 1 year apprenticeship which we are sure will be a success, he will join our team as a full time tattoo artist. We are excited for his fantastic designs to inspire a new type of clientele. Jonas speaks all 3 languages aswell (Swedish, English & Finnish). You can see Jonas’ designs here.